Beijing will cement its position as the leading power on the continent, countering a U.S. pushback. Besides flexing muscles from Djibouti, its first overseas base, China will squeeze U.S. firms out of commercial and mining deals as tensions take on a Cold-War tinge. 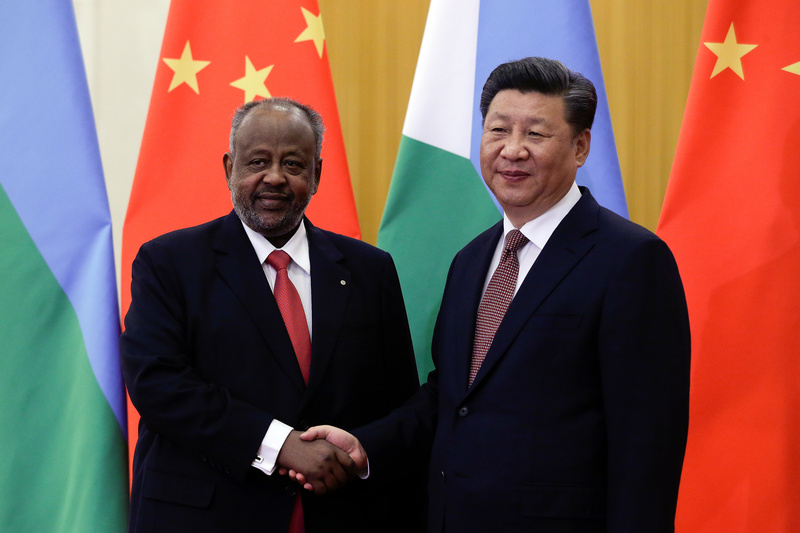 Djibouti's President Ismail Omar Guelleh and China's President Xi Jinping shake hands before their bilateral meeting at the Great Hall of the People in Beijing, China September 2, 2018. The U.S. Senate approved legislation on Oct. 3 overhauling the way the federal government lends money for foreign development, creating a $60 billion agency intended largely to respond to China’s growing influence. The United States formally complained to China on May 4 after Chinese nationals pointed lasers at U.S. military aircraft in Djibouti, an account strongly denied by Beijing. Asia-Pacific leaders failed to agree a communique for the first time at a summit on Nov. 18, amid deepening division between China and the United States over trade and investment.